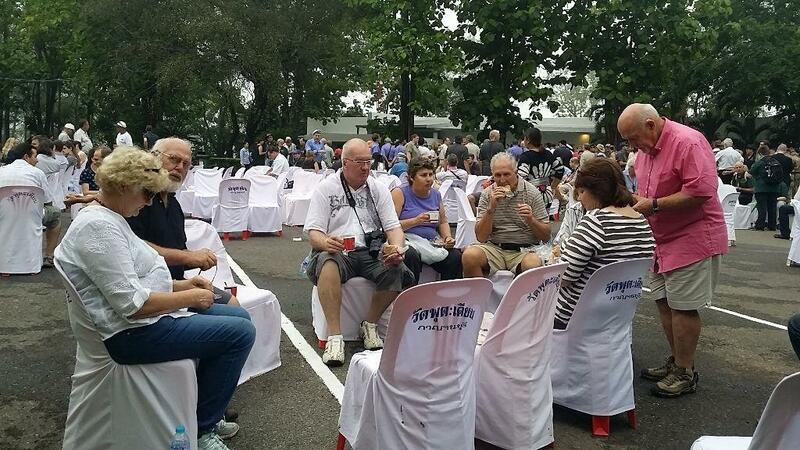 Anzac Day 2015 at Hellfire Pass in Kanchanaburi Thailand commenced as normal with the Dawn Service and Gunfire Breakfast . 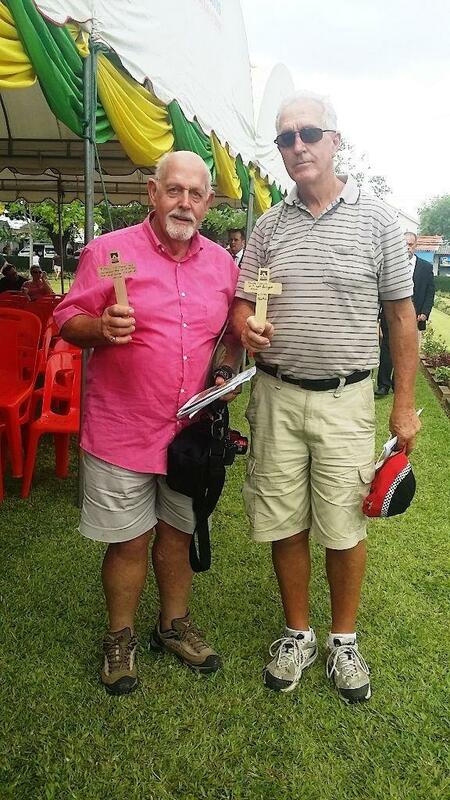 This was followed by the Memorial Service and Wreath Laying Ceremony at Kanchanaburi War Cemetery. 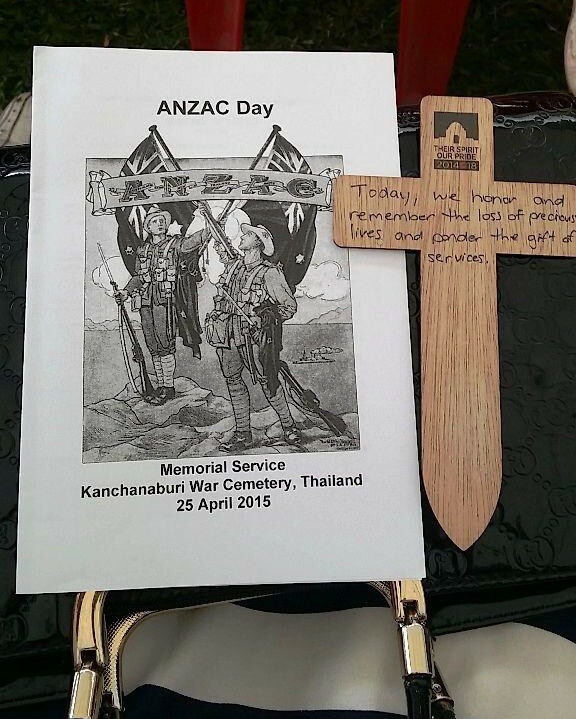 Anzac Day is commemorated in Thailand every year by conducting the above services on April 26. 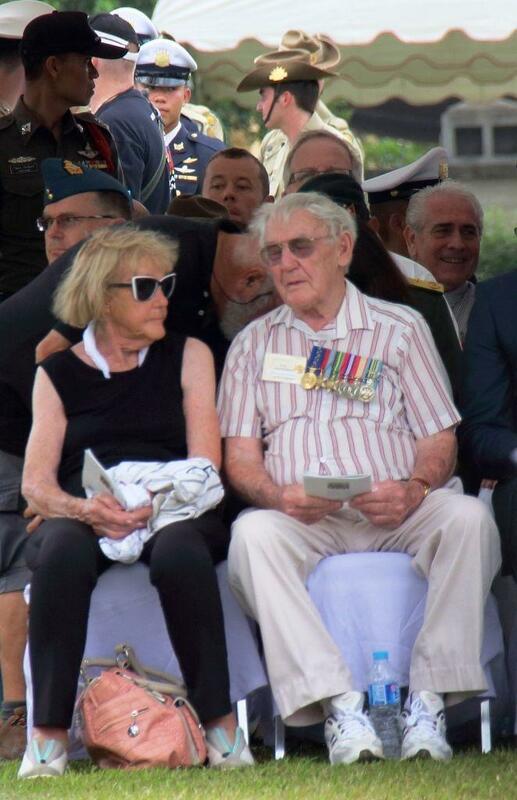 The 2015 Anzac Day tour was a little special. 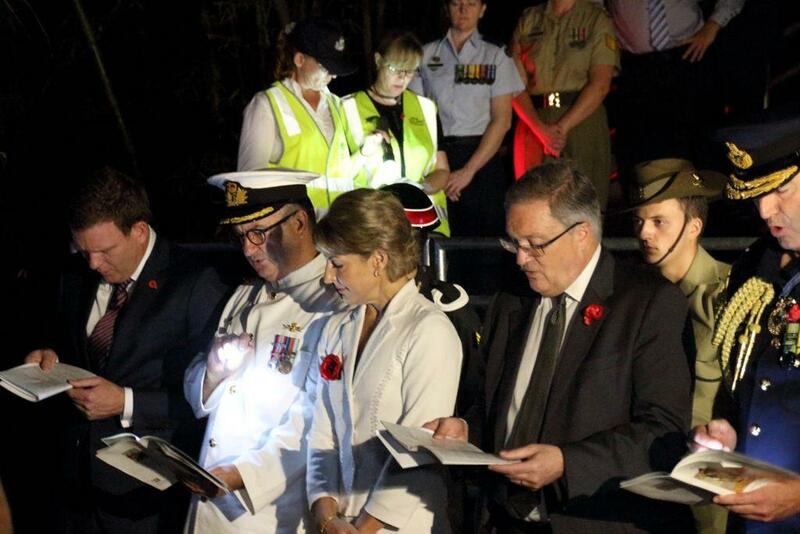 It was the 100 year anniversary of the Gallipoli Landing in World War 1. It was also special because our tour group included the widow and three sons of a POW that worked on the death railway. Note: Although these locations can be visited at any time during the year, the Dawn Service and Wreath Laying is on April 26th only! You will need to book well ahead for next years tour! Another good time to do this tour is on November 11 which is Remembrance Day when a service and wreath laying service is also conducted. 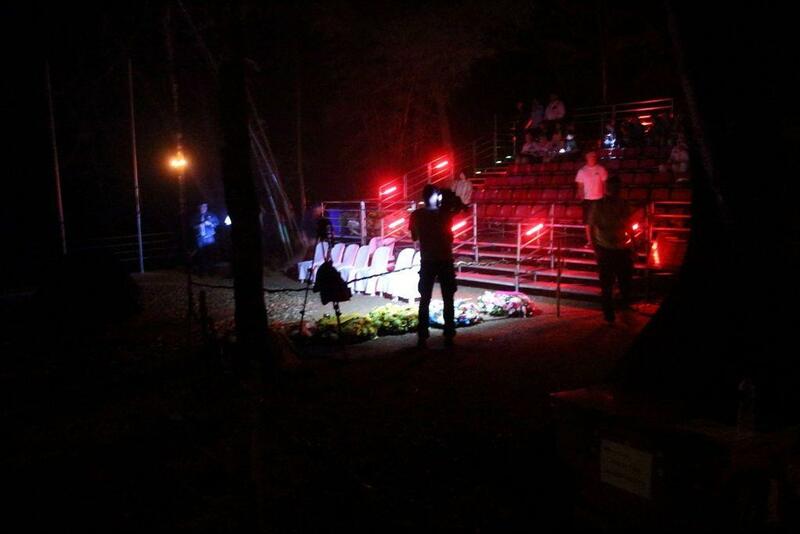 The 05:30 dawn service at Hellfire Pass was followed by a Gunfire Breakfast at the Hellfire Pass Memorial Museum. This year the members of our tour group decided to personalize their tour and extended it by visiting several additional attractions. These included The Museum of Contemporary Art (MOCA) and Siam Niramit in Bangkok plus Phu Tub Berk, Wat Pha Sorn Kaew and Phu Hin Rong Kla National Park in the Phetchabun Mountains. If you are interested in the Anzac Day tour for 2016, or the Remembrance Day tour in November 2015, we suggest that you express your interest now by using our contact form.